The 7th Annual National Basketball Negotiation Competition will take place on Friday, February 22nd, 2019 and Saturday, February 23rd, 2019 at Fordham University School of Law, located at 150 W. 62nd Street, New York, NY. 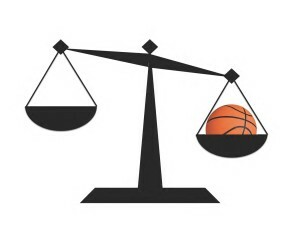 The National Basketball Negotiation Competition is an interscholastic negotiation competition hosted by the Fordham Sports Law Forum in New York, New York. The competition consists of head to head negotiations between teams of two competitors. Negotiation problems are based on real world scenarios relating to the NBA. Competitors are scored exclusively on their oral argument performance, as there is no brief writing component. Registered participants should check this page for additional information as the event nears closer. Please email our Competition Chair, Evan Dunatov, with any questions.